What makes the Kois Center special? The Kois Center is located in Seattle, Washington, on the shore of Lake Union. Fifteen years ago, the Center began forty miles south of Seattle in the back room of a dental office in Fife, around a table with room for only twelve students to attend each class. As word travelled about the incredible teaching to be found in that back room, dentists from around the world sought spaces on waiting lists, hoping to be one of the twelve. The Kois Center in Seattle was built to accommodate the increasing number of dentists eager to become students, and incorporates the latest technology to maximize student learning over each three-day course. Live patient demonstrations can be broadcast directly to each of the 26 students. Multimedia electronic presentations allow rich content to be memorably shown, and students have the opportunity to practice new skills on patient simulators. But the Kois Center is unique because it is SO much more than a physical location or a facility. 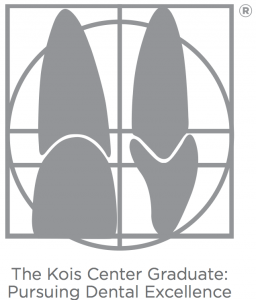 The Kois Center is part of an educational network inspired by John Kois and populated by dentists who have made a commitment to a rigorous program of continuing education. This network is actually a living, maturing postgraduate educational think tank. The Center’s growth is the result of the continued support and participation of those who have graduated. The collaboration of these members has created an ever expanding knowledge base at the Center and is a pathway for extraordinary professional growth. Graduates can return annually to attend the Symposium, which includes a review of the prior year’s published dental science, speakers who are pioneers in their field, and the inspiration of likeminded colleagues. As graduates incorporate their new knowledge into their dental practices, they can apply to become Mentors, who return regularly to the Center to offer help to current students, continuing the cycle of contributing to an improved dental profession. The Kois Center can now use the knowledge of its membership to improve the curriculum of the Center, enhance the professional growth of its members and improve the dental health of the patients they serve. The Kois Center provides an intense educational experience which allows your dentist to acquire the necessary skills and knowledge to assist you, the patient, in keeping your teeth healthy and esthetically pleasing for a lifetime.